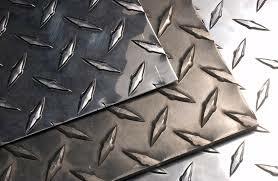 We are the leading supplier and exporter of metal scraps such as aluminum scraps. These scraps are procured from the trustworthy vendors of the respective domain. These scraps meet the needs of various industries like electrical, integrated steel mills, furnace mills, so on. The aluminum scraps can be used mainly in the production of aluminum products. In order to meet the needs of our customers these scraps are made available to our customers in different shapes and sizes. Aluminum scraps have high tensile strength, highly durable and resistance to corrosion. The aluminum scraps are well examined by our team of experts for its quality before being sent to the clients.